"This film has a lot of issues. Little nit picks here and there. Like shoddy, unrealistic dialogue, iffy side characters and a scene they pretty much stole from the Disney Short, Paperman. But... this film has enough heart to help me forget almost all of the problems. Firstly, it was a basic kids/family film in that we all 'hope' it's a happy ending and it usually is. Occasionally, as film goers we like to see everyone randomly die or be depressed at the end because it is out of the norm. But we must all admit that we still like a good happy ending. 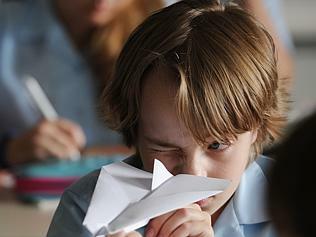 Paper Planes, at it's core is a story about a father and son and where it shines is the build up of that relationship. Surrounding this heartfelt center is a bunch of fun, likable characters to join the ride. Something else I loved about the film is the wonder of travel in the eyes of the lead character. Coming from a junk yard of a home to Sydney and Tokyo! The nit picks are obvious when you watch it, there are plenty. But I say go and enjoy it anyway because the ending is lovely. Look out for the heartfelt scene where the lead talks to his competitors father while playing golf. PS: It's kinda karate kid but with a paper championship"